We’ve been in the boat cover, bimini top and boat accessory business for a decade. During that time, we’ve seen a lot of new companies, products and promises come and go over the years. We take our role as “America’s trusted source for high quality, US-made boat covers and bimini tops” seriously. That’s why we only partner with companies that manufacture products that are: 1) made to last, 2) competitively priced, and 3) backed up by a promise of quality and satisfaction. Over the years, we’ve seen and heard it all, so we’re NOT easily excited. When we say that we’re REALLY excited about the new Carver Sun-DURA™ boat covers and bimini tops we’re now offering, we hope you know that it’s not just a marketing gimmick. Why Choose Sun-DURA Boat Covers or Bimini Tops? ALL of the boat covers and bimini tops we offer come in breathable, non-coated fabrics. These materials benefit the short and long-term well-being of your boat and its interior. Many boat owners don’t realize that waterproof or coated materials don’t let interior moisture escape from their boats. This trapped moisture means that mold and mildew will grow under your boat cover, ultimately causing a host of problems to your boat’s appearance, mechanical systems and potentially even your health (many people have bad mold and mildew allergies). Simply put, we believe that Sun-DURA™ is one of the most fade-resistant materials ever made for boat and PWC covers and tops, and that says a lot. 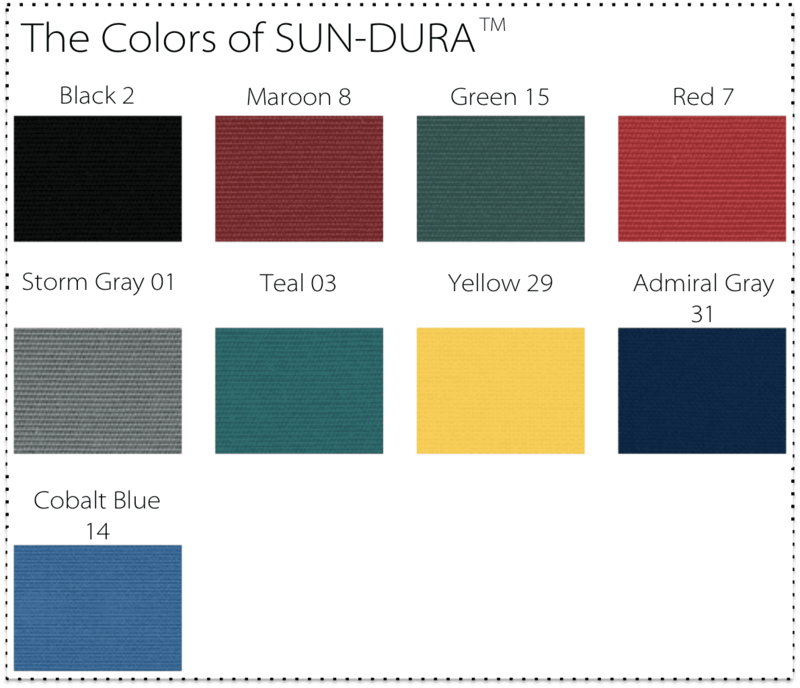 What Colors Does Sun-DURA™ Come In? Boat Covers Direct® Now Offers Sun-DURA! We’re proud to announce that we’re now offering Carver’s Sun-DURA™ boat covers and bimini tops to our customers! Mention this blog post when you order yours and save an additional 10%! Next: Celebrate Independence Day with some little-known American history!